User experience varies when using different types of digital products. Previous research has studied the relationship between product properties, user behaviors, and emotional experiences. 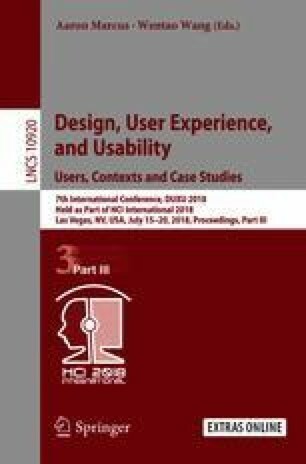 In this research, we conducted a diary study of 29 students over two weeks to examine users’ emotional experiences of mobile apps, PC software, and terminal devices in relation to product features, interaction results, and users’ feedback. Results show that: (1) Users were less “disappointed” when they interact with mobile apps. (2) Users were often “surprised” when using a terminal device. (3) Users mentioned “aesthetics” more with mobile devices than with terminal devices. (4) Users cared more about task complexity and chose to overcome the problem they have met when using a personal computer. These results provide an exploratory understanding of the relationships between product types and other factors and could be useful to cross-platform designers. The results also suggest that user expectation might have an impact when measuring user experience, and this needs further investigation. This research is supported partially by the NSFC Grant #71603012. We thank the participants for their time and valuable inputs to this study.